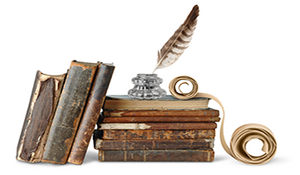 Anna Myers is excited to share these entries in her historical fiction writing contest. Teachers attending the 2015 Encyclomedia event in Oklahoma City were encouraged to have their students write pieces of original historical fiction and then to select the best entries to submit for the contest. From the entries below, a winner was selected by a drawing to receive a free school visit by Anna! Congratulations to Dale Schools on winning the drawing and to all the teachers and students who submitted these wonderful entries! down at the smooth brown table. “Good morning to you too,” I said. Lauren is my counselor. I ate two helpings of muffins and juice. After I ate, I went outside and met my friend. Her name is Destiny. I took a look at the towering mountain overhead. It seemed calm and still. Reports in March said there might be some movement. cleaners and a bottle of glue and colored fabric and three small pom-poms. rumbling sound. I realized it was the volcanic mountain erupting! whole troop was running after me eager to run away from the monstrosity. Resort. I saw campers. I went over to a man and asked if we could stay. Luckily he said yes. We all settled down in a cabin and waited for news about when we could get home. Destiny was concerned about her Uncle Harry Truman. He lived at the foot of Mount St.
Helens. She was sure he would never leave his lodge he built with his wife Edna. to see my parents again I just cried with joy. This will be a day I will never forget as long as I live! “Do you think this is a good idea, Papa?” I asked him. agents, and Eastern Church folks are saying that by doing this, we are mistreating the Indians. use of the natural wealth of Oklahoma.” Father replied, pondering out loud. had been marked off, a settler won the right to homestead 160 acres of land. apologized when I told him that I fell out of the wagon. exploding noise and our car shook. from a few streets down so Dad started the car and we took off to figure out what it was. weren’t hearing voices, you were hearing every person on the block crying. understand why there is such hatred towards them. person deserves to be put through that. with the sadness. “Mother, why do people do this?” I asked. “I don’t know baby, I don’t know,” was all she replied with. but they all should recover fine.” We all were exhausted so I came in here to my room. girls dead should be more than there ever should’ve been. is about time to get up and commence the attack. May 10, 1775. 1400 hours. over, used a piece of rope used to take prisoners, and tied his arms behind him, then sat him up. change. He is now in my regiment, he looked famished, so I sent him to Allen to get some food. way; I will continue to write after he is gone. school! After school I enjoy working in our family store, I like getting to see all of the costumers. mind wouldn’t stop wondering about what this country has come to. It was 11 o’clock am, we had just finished eating lunch, and we were listing to the radio. couldn’t get any worse, it did. a brutal world we were living in, and nobody understood. shipment of people in the next day. The Nazi killing more people was hard to imagine. learn more about my part in the Holocaust.